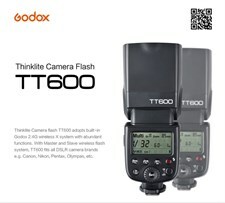 This flash trigger supports flash group and remote flash power control. 50m effective distance, adjusting the power, modeling lamp output, buzzing and trigger the flash. 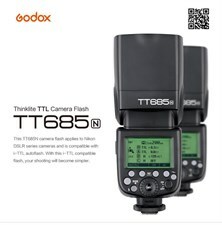 Enjoy TTL-enabled and reliable wireless flash by picking up the X1T-N TTL Wireless Flash Trigger Transmitter from Godox. 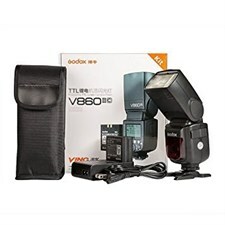 This 2.4 GHz system is compatible with Nikon cameras and flashes that support i-TTL for automatic exposure and metering, making it an excellent choice for shooters who need to work quickly. It also has an outstanding range of 328' and can be set to one of 32 channels for limiting interference with other nearby systems. Another huge benefit is the ability to control up to five groups at a time, or set the unit to ratio flash mode for three groups with varying power relative to one another. 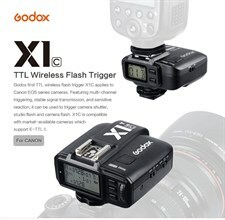 Enjoy TTL-enabled and reliable wireless flash by picking up the X1T-C TTL Wireless Flash Trigger Transmitter from Godox. 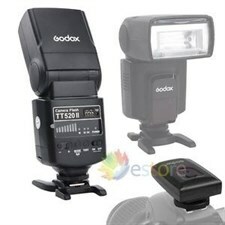 This 2.4 GHz system is compatible with Canon cameras and flashes that support E-TTL / E-TTL II for automatic exposure and metering, making it an excellent choice for shooters who need to work quickly. 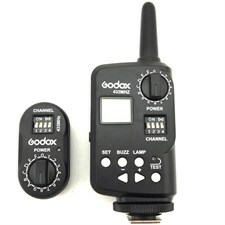 It also has an outstanding range of 328' and can be set to one of 32 channels for limiting interference with other nearby systems. Another huge benefit is the ability to control up to five groups at a time, or set the unit to ratio flash mode for three groups with varying power relative to one another. 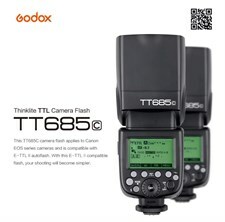 With built-in wireless signal, this Godox Thinklite camera flash TT520II supports wireless triggering functions, which is suitable for almost all DSLR cameras with standard hotshoe. 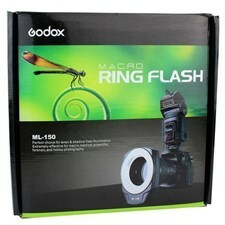 Macro Ring Flash ML-150 is the perfect choice for photographers who require shadow-free illumination. 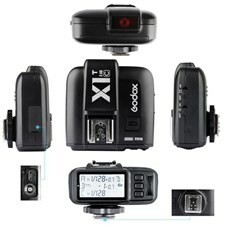 It is extremely effective for macro, medical, scientific, forensic, and hobby photography. 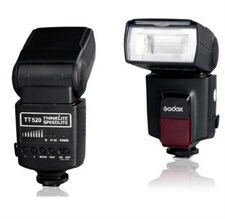 The flash can work with all DSLR cameras with standard hotshoe and have multi protections in continuous flashes and over-temperature.